It’s tax time! Have you considered donating to the PT Not Traffic campaign? It’s tax time, and if you’re anything like me, every charity you’ve ever thrown money at has been writing to you to see if you’ll give them some more. 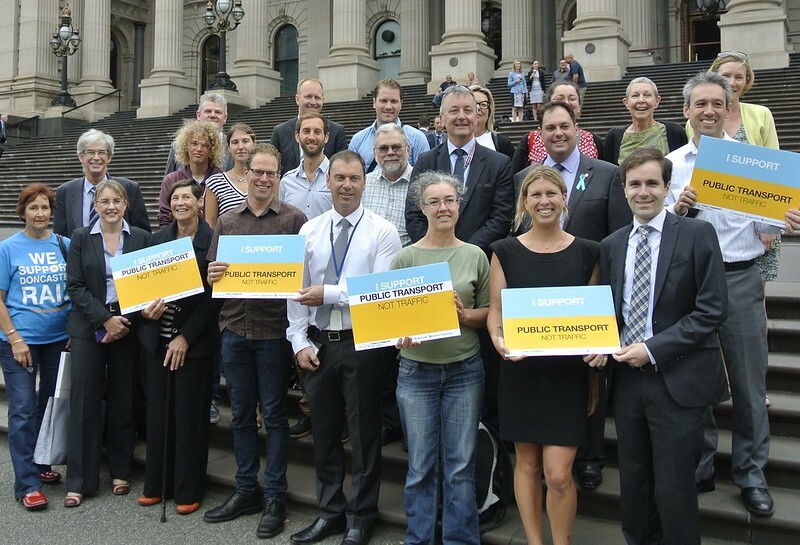 In the spirit of this, I’d like to put in a quick plug for donating to the Public Transport Not Traffic campaign — this is the PTUA’s campaign arm, and donations to it are tax-deductible. PTNT uses this money to help pay for a part-time campaigner — this was instrumental last year in running activities to lobby against the hugely wasteful and city-shaping (into a more car-dependent city, that is) East West toll road, and also activities such as the annual PT To Parliament event, which is a chance for residents to talk about PT issues as they ride into Parliament with their local MPs. In coordination with PTUA, PTNT’s activities all help keep up the pressure for more investment in public transport infrastructure and services. So, if you support the cause and you’re pondering where to send some tax-deductible donations before the end of the financial year, please consider giving to PTNT. I was curious how many countries have financial years ending in June. This page and chart in Wikipedia shows them: they include Australia, Egypt, NZ (government, not personal/corporate), Bangladesh, Pakistan,… and it seems not many others. Ending in December, or March seems to be more common. The USA used to finish in June, but got bumped in the 70s to September. For personal taxes in the US the year ends in December and tax returns are due in by April 15. As a dual US/Aussie citizen I still have to prepare and file a US tax return every year and of course another one for Australia too. It sometimes creates confusion with Australian employers when I need tax information from January to December to file my US return as they have to look for and add up earnings and tax withheld information in two different financial years here. I don’t need to pay any taxes to the US as there is a tax treaty between the US and Australia to avoid double taxation.